Shakey's V League Season 11 Schedule of Games / Game Schedule : Check It Out! 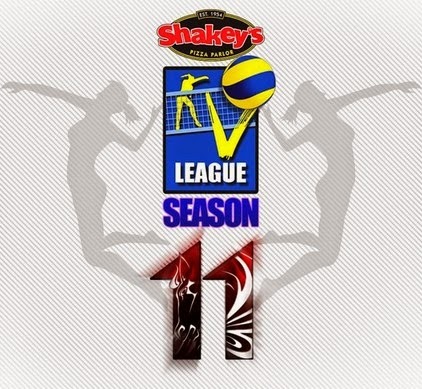 The Shakey's V League Season 11 action has already begun few weeks ago. And, if you haven been missing watching the games live due to your tight schedule, don't worry because we were able to find a copy of the the V-League schedule of games for April. You'll be seeing these teams play: Group A- Arellano Lady Chiefs, Ateneo Lady Eagles, Adamson Lady Falcons, St. Benilde, South Western University Lady Cobras, and St. Louis University. 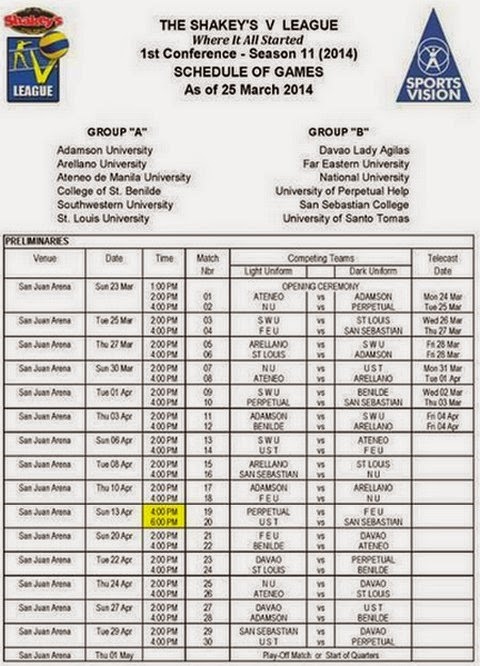 Group B- NU Lady Bulldogs, UST Lady Tigresses, FEU Lady Tamaraws, San Sebastian Lady Stags, Davao, and Perpetual.